One of the great strengths of astronomy is it’s ability to observe the past. 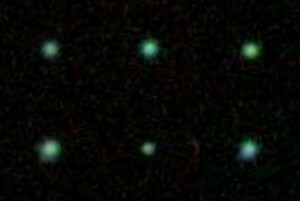 Since light takes time to travel across the universe, more distant objects are seen at an earlier time than closer objects. 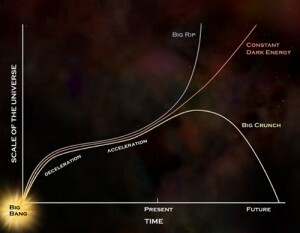 This means we can do things such as study the evolution of galaxies, and observe the universe in its youth. It also means we can test whether physical constants change over time. But geology also gives us the ability to observe the past, and sometimes it tells us things about astronomy. 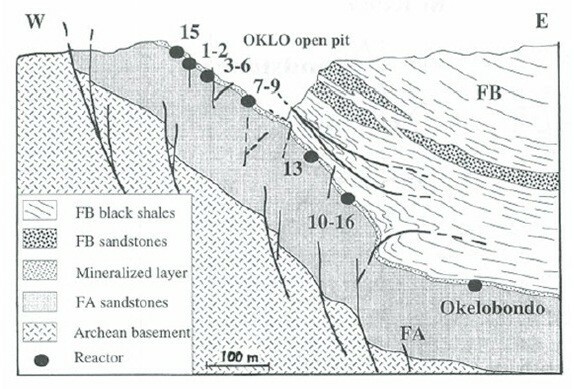 Take, for example, the natural reactor at Oklo in Gabon, Africa. 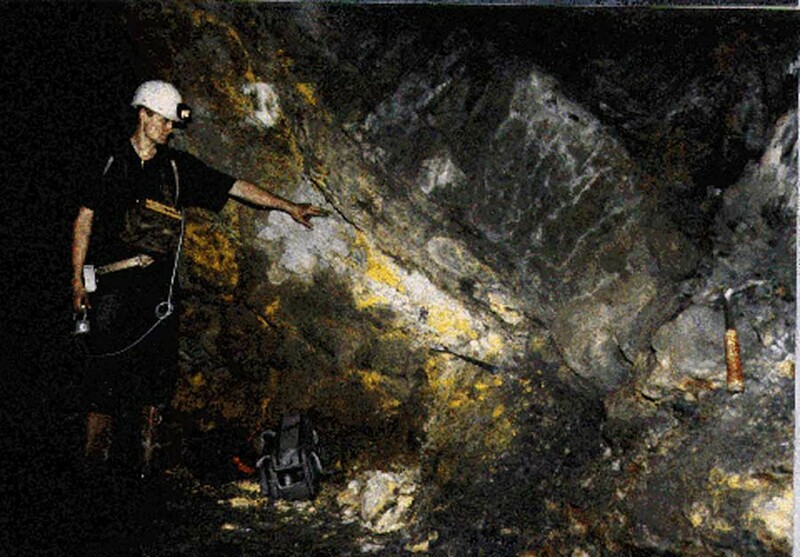 It was discovered in a uranium mine in 1972, when it was noticed that some samples from the mine had a noticeably lower concentration of uranium 235. What’s more, the region also had elevated concentrations of fission byproducts such as ruthenium 99 and neodymium 142. This is the type of thing you’d expect to see in a nuclear reactor, but it was found in a region of rock about 1.7 billion years old. It is the first and only known location of a naturally occurring fission reactor. What happened was that groundwater seeped into the uranium deposits, which acted to dampen the speed of neutrons emitted by the U235 (similar to the way we now use heavy water in modern reactors). The slower neutrons were then able to strike other U235 elements at a speed capable of inducing fission, thus creating a steady chain reaction. The thing about fission reactions is that their rates and byproducts are critically dependent upon various constants of nature, so the Oklo reactor can be used as a way to test whether these constants have changed over time. In particular, there have been several papers looking at one particular constant known as the fine structure constant. 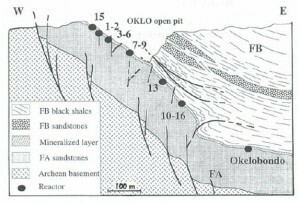 What we’ve found is that at the time of the Oklo reactor, roughly 2 billion years ago, this constant appeared to have the same value it has today. Specifically, it could have changed by no more than one part in 10 million. It agrees with other astronomical studies that also show physical constants haven’t changed over billions of years, but it’s important because it reaffirms the fact that what we observe in the universe is consistent with what we measure here. Astrophysics works, and we know that thanks in part to a bit of geology.